Uh huh. That's what it says in the title. 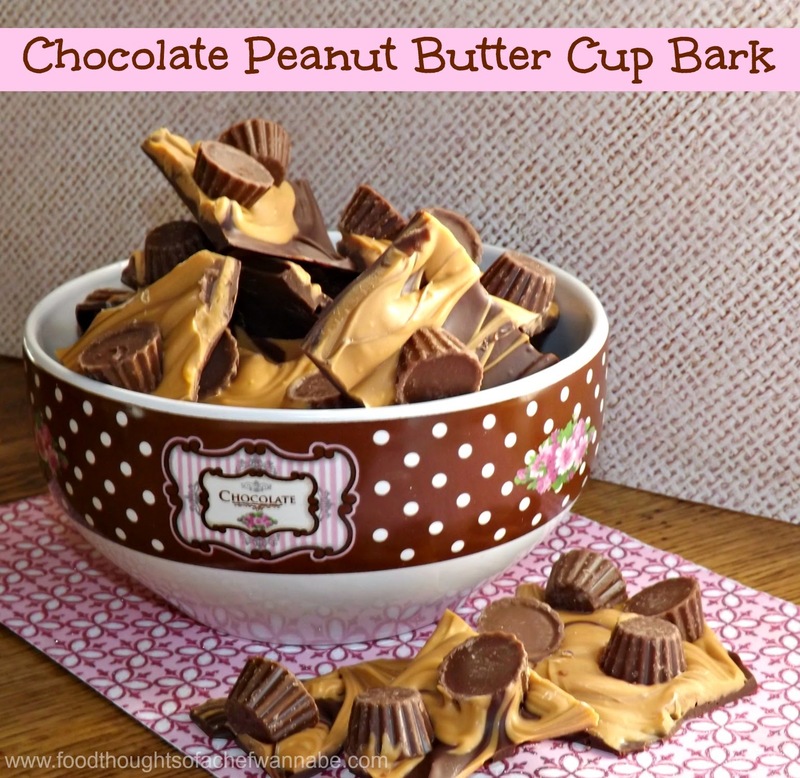 This recipe is a chocolate/peanut butter lovers dream. I qualify, and apparently, after eating nearly this entire batch over the course of 3 days, my son qualifies as well! HA! It never gets old, no matter how old your kids get, seeing them enjoy something you make. Am I right? Or am I right? I have seen this recipe so many places, I can name a few here, but a lot on Pinterest and then two YouTube channels I subscribe to most recently, they are Tammy over at Yoyomax12 and Lynn at Lynn's Recipes. When I saw it, I thought how easy it looked, how fancy Nancy it looked and how flipping GOOD it looked! I had to try it. Now, you can opt for any chocolate on the bottom. I opted for semi sweet, I used chocolate chips which some don't recommend but let me tell you it turned out perfectly for me. With the chocolate chips there is just ONE little trick. Heat it for 30 seconds at a time and stir well, you ideally do not want to overheat the chocolate so mix it well every 30 seconds, so the heat of the bowl and the already melted chips will melt what is in there more. If you overheat the chips you are done. Ok? Btw, the semi sweet, balanced all of the milk chocolate perfectly, not disgustingly sweet, but, still fairly sweet. I made a "larger" batch, I would say double what most of the recipes call for. I definitely see, taking this as an edible gift in the future, because it is that good. In a decorative little box, oh yea, this will be a fun gift! Line a baking sheet with parchment paper. Melt semisweet chocolate, slowly, take your time or you will ruin it! When it is melted spread as thick or thin as you would like it. Mine turned out to cover the better part of my cookie sheet. Next, working fairly quickly, melt your peanut butter chips. Using the same method as the chocolate. Drop spoonful's all over the chocolate you have melted and using a skewer, toothpick or butter knife, swirl the peanut butter around. Be careful to make sure it maintains the swirled look and not so mixed up it looks like mud!! Now take your mini peanut butter cups and cover the top, just drop them on, sort of evenly, you can always move them round. Then, take your hand and press them down to so adhere into the chocolate and peanut butter! And here is what you will end up with! Place in the fridge for about 30 minutes to make sure it is good and set. Then break into pieces and store in the refrigerator in an airtight container. You can leave it out while serving as well, it will stay hard. (unless it is super hot). No worries, to be honest, it won't last that long! Enjoy this simple, sinful treat! PS. Don't worry about the peanut butter and chocolate on my fingers. When I was done I went ahead and licked it off!